Chief and artist, Kwaxitola, Willie Seaweed (1873-1967) holding his coppers, Blunden Harbour, 1955. 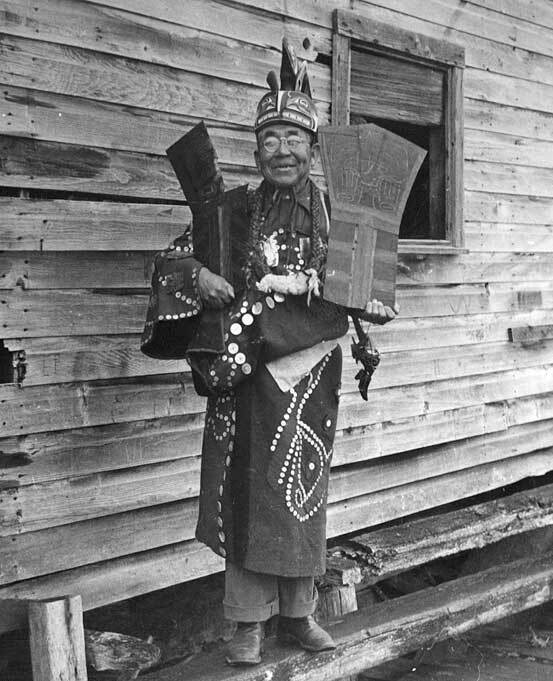 Seaweed was a singer, storyteller, and great artist who kept the traditions of the potlatch alive through the years it was prohibited by law. English Translation of Potlatch Means "To Give"
Many people believe that a rich and powerful person is someone who has a lot. 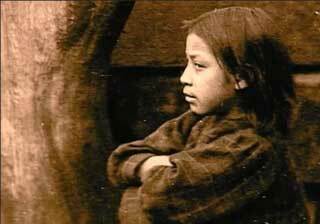 The people who speak Kwak´wala, the Kwakwaka'wakw, believe that a rich and powerful person is someone who gives the most away. 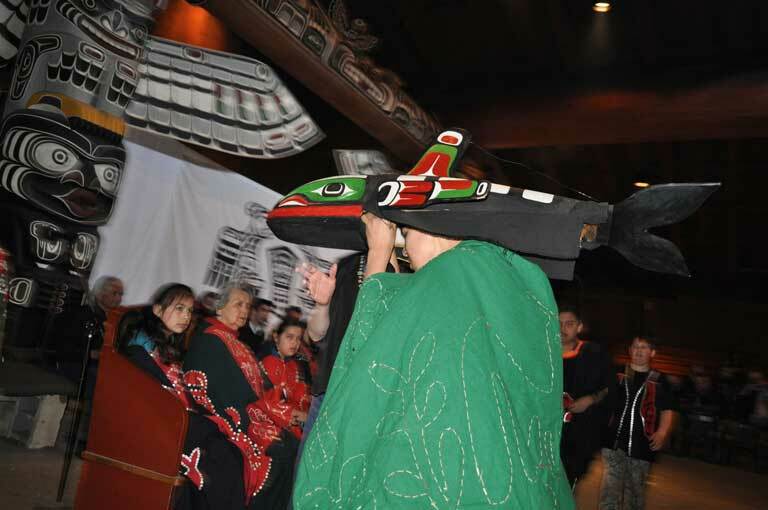 Since a time beyond memory, the Kwakwaka'wakw have been hosting potlatches and potlatching continues to play a central and unifying role in community life today. 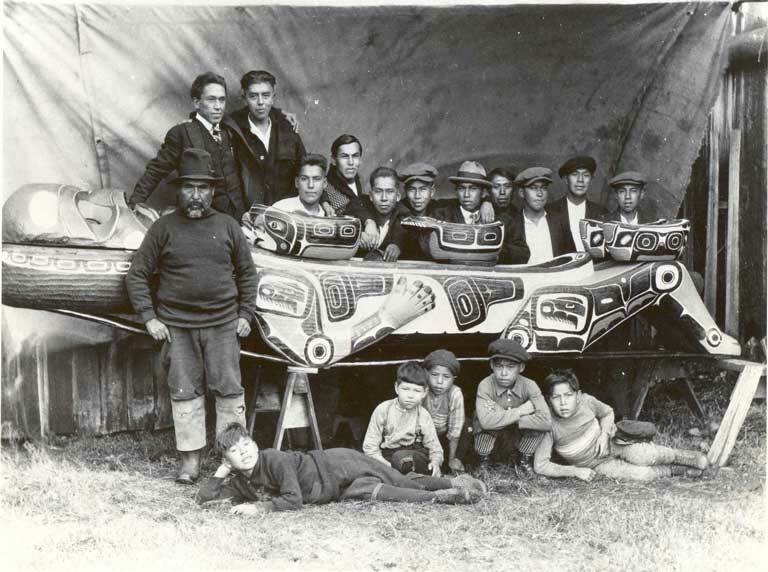 The word "potlatch" means "to give" and comes from a trade jargon, Chinook, formerly used along the Pacific coast of Canada. Guests witnessing the event are given gifts. 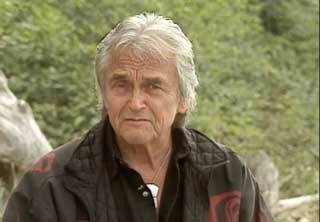 The more gifts given, the higher the status achieved by the potlatch host. 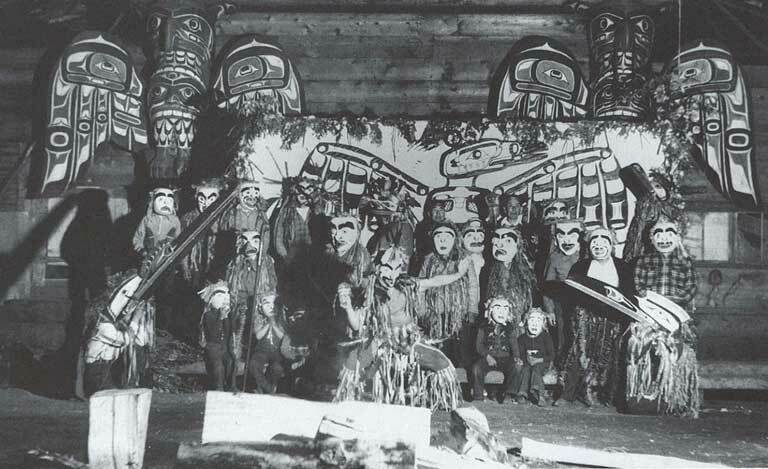 The potlatch ceremony marks important occasions in the lives of the Kwakwaka'wakw: the naming of children, marriage, transferring rights and privileges and mourning the dead. Rights to land, property, fishing holes, berry patches, hunting grounds, and beach fronts. The right to specific dances, songs, stories, and the right to display animal crest designs of a family’s clan. 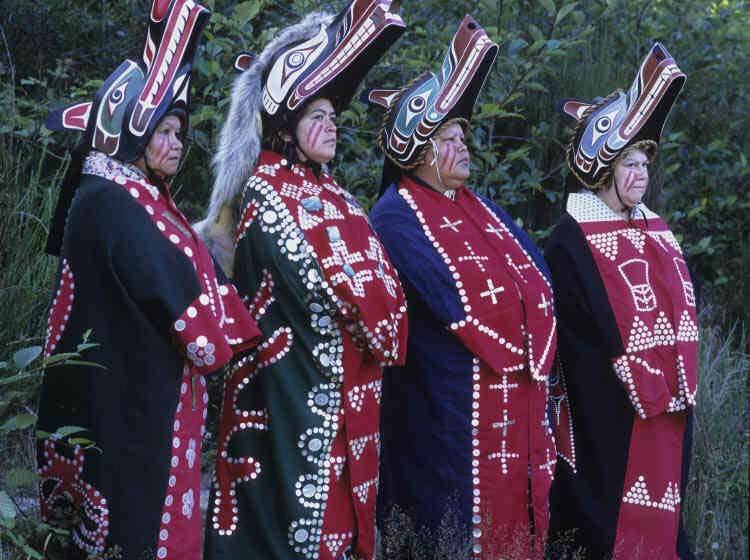 The right to wear, use, and display certain regalia and objects that indicate leadership: hats, blankets, dance aprons, carved benches, shield-shaped copper plaques, masks, painted housefronts, and carved posts. Long ago potlatches stretched out over the winter months, lasting for weeks. They were held in a ceremonial Bighouse, the size of which indicated the hosts’ status in the village. Chiefs with the largest bighouses would invite hundreds of guests from many First Nations. 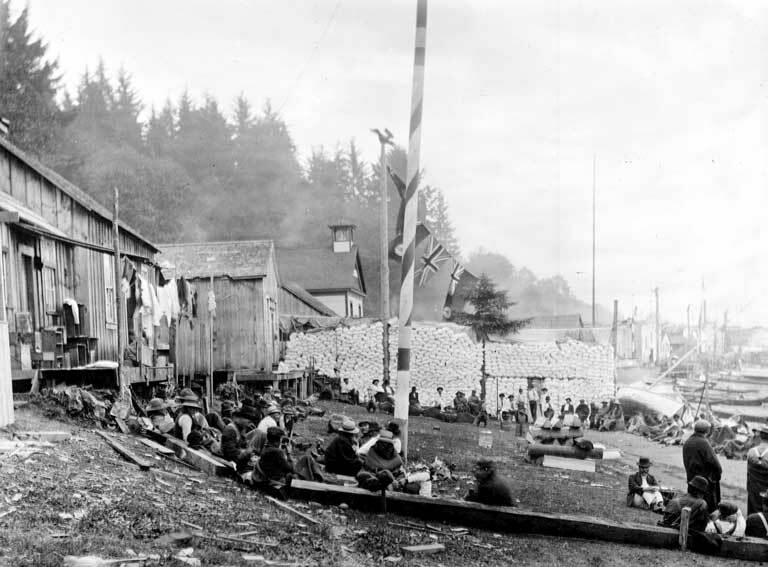 Guests would travel to a potlatch by canoe and upon arrival announce themselves and their village by shouting to the host onshore. Giant welcome figures, carved out of cedar, often stood at the water’s edge as hosts sang welcome songs. Sometimes there were so many guests that no room was left on the beach for all the canoes. 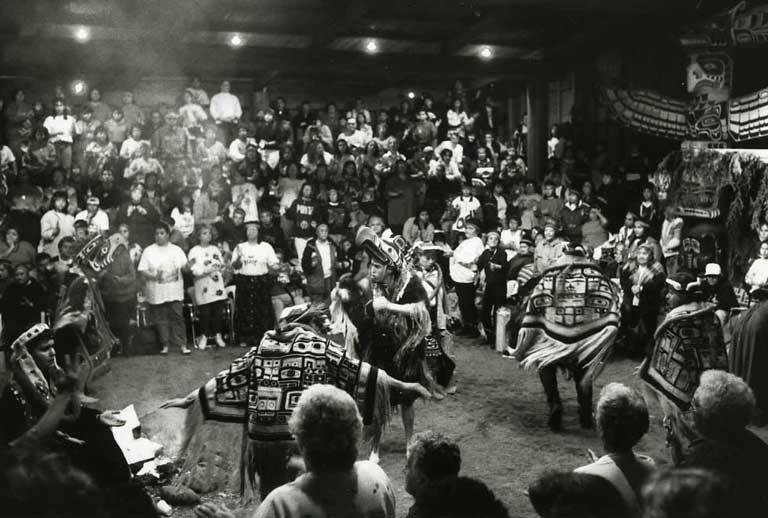 Today’s potlatch involves feasting, singing, dancing, and speeches— but one of the most unique aspects of the ceremony is the distribution of gifts to all invited guests. 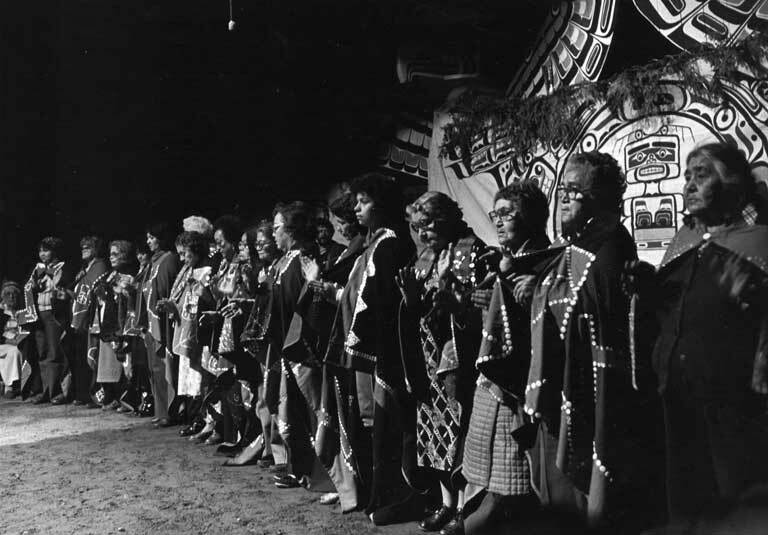 Guests serve an important role in the potlatch. They are witnesses who are “paid” with gifts for acknowledging a family’s inheritance or claim to things passed down in the ceremony. 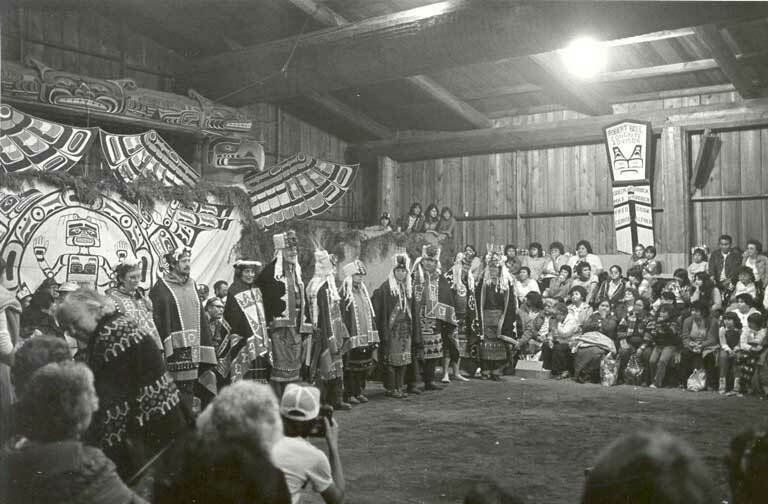 A family with the right to potlatch might host a potlatch to give a firstborn son a name, at which time the father could announce the family’s ceremonial belongings that would be passed to his son in the future. 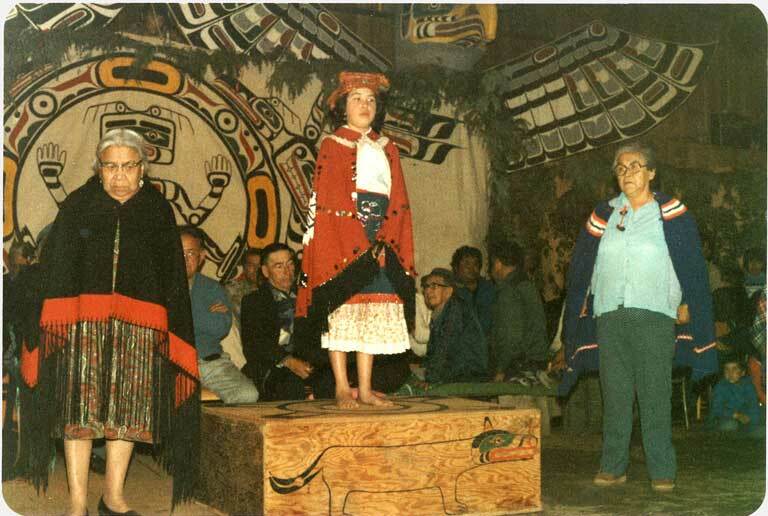 Families pass down the right to tell certain stories, sing certain songs, dance certain dances, and rights to watch over certain areas of land. 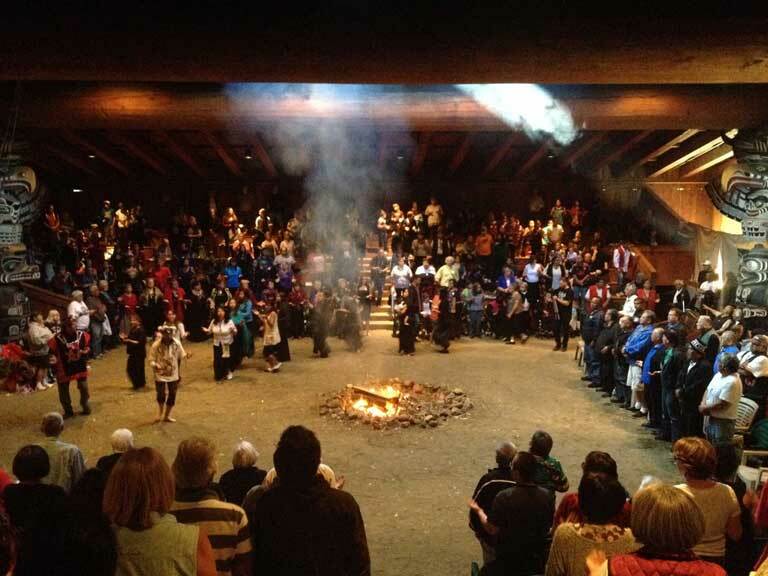 The potlatch is a rich tradition. Potlatch hosts dress in their finest cedar shawls or button blankets, cedar hats, cedar-woven headgear, dance aprons, and more. They may carry beautifully painted rattles, drums, engraved shield-shaped copper plaques, or “coppers,” canoe paddles, and staffs—all elaborately carved and painted with their family’s animal clan crest designs. 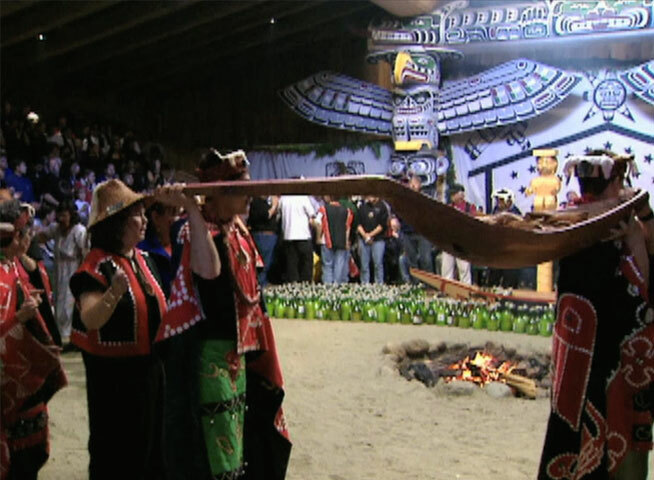 Today potlatches are most often held to honor the passing of an elder or important person in the community. Potlatch hosts might take years to gather, make, and prepare gifts to be given away at a potlatch, including what is needed for the feast. Over time, potlatch gifts have changed. What does it mean to be wealthy? To most people, being wealthy means being rich; having lots of money with which one can acquire valuable possessions and property. 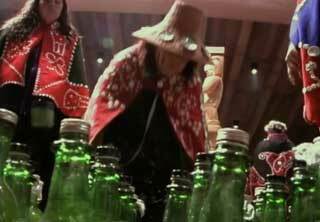 For the Kwakwaka'wakw, the wealthiest people are those who not only accumulate the most stuff, but also give it all away in a potlatch, as a sign of their ability to do so. 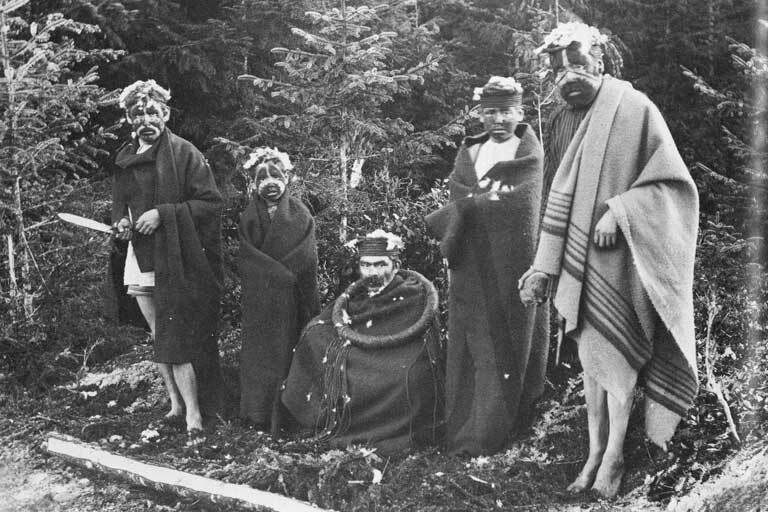 For the Kwakwaka'wakw, coppers were perhaps the greatest symbol of wealth and power. Coppers, or t´łakwa (pronounced: GLACK-wa) were beaten sheets of copper in the shape of shields. Every copper has its own name, history and value. Coppers with animal names refer to the crest of the original owner. Others, such as, “All-Other-Coppers-Are-Ashamed-to-Look-at-it,” were named for the economic transactions that involved that particular copper. They could measure up to three feet long and were painted or sometimes engraved with the owner’s crest design. Only chiefs can own coppers and owning a copper is required to conduct certain types of potlatch business. Coppers document the most important events and transactions engaged in during the life of its owner and perhaps his or her descendants as well. 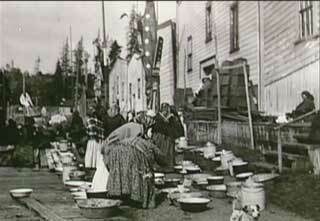 The more used a copper was, or the more it was publicly displayed in a potlatch, the more valuable it became. A copper’s value was measured by how many blankets it was worth. One special copper was known to be worth nine thousand blankets. 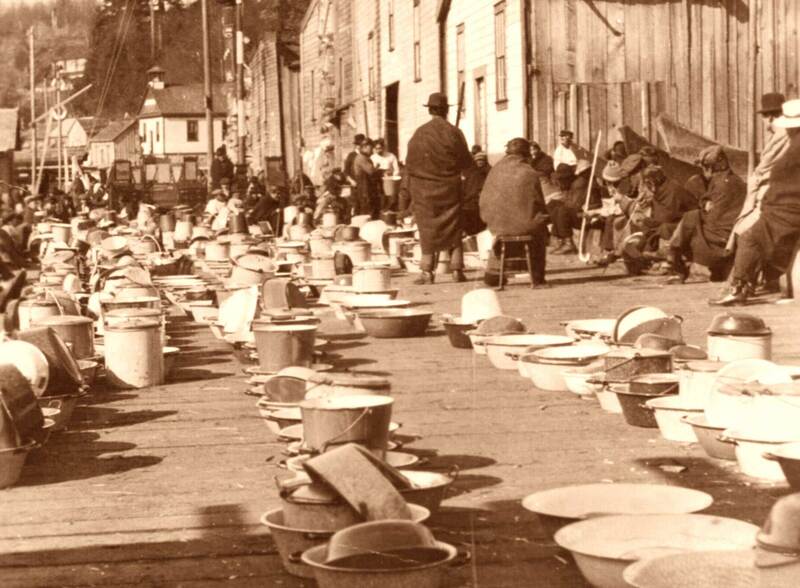 When the potlatch materials were seized in 1922, they were appraised by the authorities at $1,456 not including the coppers, for which no compensation was paid. In earlier times, “breaking” a copper was the most formidable challenge that could be made by an owner to a rival, who then must break a copper of equal or larger value. A rival who could not respond faced humiliation before the community. Today, breaking of coppers is not permitted at all within the ceremonial Bighouse because it is considered a hostile act. A copper is a material item considered very valuable in Kwakwaka'wakw culture. But perhaps even more valuable than a copper, a song is considered the most treasured gift one can receive. Songs are usually passed down within families to the oldest son. No pile of blankets, no matter how high, can equal the value of a song. To receive a song is to receive great cultural wealth and gives a person high status in the community.